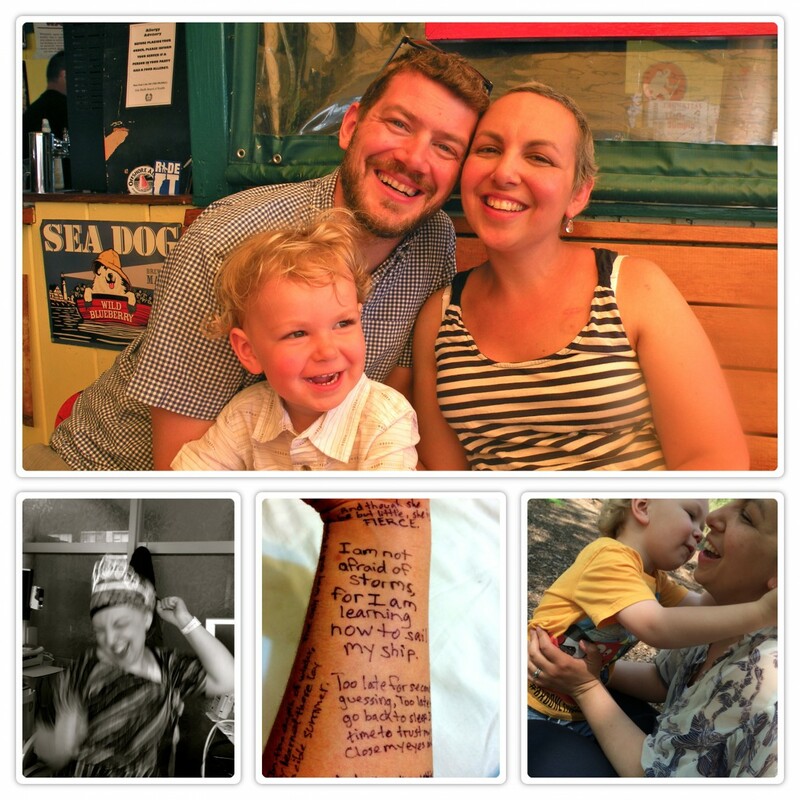 In August, 2014, at the age of 37, I was diagnosed with stage 2B invasive breast cancer. I had just finished breast feeding my then 19 month old son and the last thing I expected was a cancer diagnosis. Once I was diagnosed, I was quickly thrust into the very pink world of breast cancer. I had to make life saving decisions quickly and I changed from a healthy young woman into someone who was very ill, very quickly. All of my experiences from my mastectomy, to treatment to survivorship and reconstruction created a sense of isolation. Only two weeks post diagnosis, I decided to start a blog to share my stories about what it was like in the trenches of the breast cancer world. I quickly learned that while the breast cancer community can be tight knit, there can also be a great deal of divisiveness. It is often discussed, “who has it worse?” Do you wrap yourself in pink boas during treatment or do you hate the world of pink washing? There’s conflict between the equity of care for those of color versus white, young and old, rich, middle class and poor, insured and uninsured. There’s also conflicts between the sick and the caregiver, the patient and the doctor, the doctors and the nurses and nurses and administrators. I witnessed these conflicts in my hospital, when discussing care with other survivors and by reading other blogs. It made me realize that we all have stories to share which can help to generate understanding and find common ground. The Breast Cancer Oral History Project aims to work with all people affected by breast cancer. By working with our stories, we will create a theatre project. What this looks like will be up to the participants. I hope you will participate and share your story! The Breast Cancer Oral History Projectis in the works!!! While the project is in it’s infancy, I am gathering information from people affected by breast cancer. So if you are a survivor, caregiver, friend, family member, doctor, nurse, researcher, or anyone interested, please fill out this survey. It will only take a minute and help me to get started on this amazing project.